Fresh Choice Nelson welcomes back our Guest Blogger, Maddy Bellcroft; This week Maddy is talking organic produce in Nelson – Find Maddy on Facebook. If you have visited Fresh Choice, Nelson recently you may have noticed the ever growing organic produce section. The wonderful produce team have been sourcing fresh organic fruit and veg from four local growers and all over New Zealand. Here’s what they have to say about the packaging they are using, “As part of our new organic programme we have done away with the stock standard plastic bag and opted instead for “NatureFlex” packaging film. These sleeves are derived from renewable cellulose, a product extracted from wood pulp that has been certified by the Forest Stewardship Council. The result of this is a fully biodegradable and compostable packaging sleeve with a bio-based carbon content.” They also try to eliminate the use of tags and customers can bring back punnets to be reused. The prices of organic produce are often comparable with the other produce and fresh stock comes in six days a week. Here’s a recipe that utilises much of the organic produce selection in store. Slice onions and garlic, put in large casserole dish. Cut all the vegetables into small chunks and add to dish. Add all other ingredients except the quinoa and pour over veggie stock, stir to combine. Cover and bake for 50 minutes stirring once. Stir in quinoa, and if mix is looking dry add 1 cup of water, cover and return to oven for a further 30mins. Serve with fresh bread. Spanish Wines come to Nelson… Olé! Spanish Wines in Nelson… It must be time for a blog post from our wine expert, Neil Hodgson! Spain is considered one of the old world producers with many varieties planted that we just don’t have in our part of the world. Varieties like Tempranillo, Verdejo, Godello, Graciano, Monastrell, Touriga and others almost unheard of here. For many years the grapes that produce Spanish wines were treated as just another crop, like tomatoes and potatoes, but in the 1970s producers started focussing on quality rather than just quantity and we are now seeing some wonderfully complex Spanish wines on the shelf in Fresh Choice Nelson. For me the best Spanish wines are the reds; because of the very warm climate, the only decent white variety, in my opinion, is Albarino which is also being produced here quite successfully. The reds, however, are the stars and deliver wonderful flavour and complexity for very little money, especially when you consider they are produced on the other side of the world and shipped here. Great examples can be bought for around $20. At Fresh Choice Nelson you’ll find some great examples, including the Rey del Mundo 2012 Tempranillo for $19.99, a saving of $6 and the gold medal winning Vino Tinto Altacena 2014 Tempranillo for $13.99, a saving of $6. Both of these wines have rich fruity flavours with a touch of tamarillo spiciness making them excellent value winter drinking with a beef casserole. Another good example and also a gold medal wine is the Elefant Tempranillo Shiraz blend for $15.99, the Shiraz adds sweet depth of flavour to the spiciness of the Tempranillo, making it very easy to drink in front of a nice warm fire. 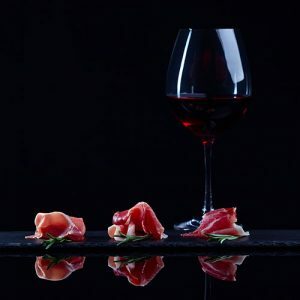 If you want to try a rich red wine with flavours just a little different but just as delicious as something from Australia then be brave and choose something from Spain, you will be surprised just how good these wines are! The Grocer loves his vegetables, but most of all he loves his organic vegetables! There’s nothing our Trevor likes better than getting things organised in the produce department, and if you’ve been in to the store lately, you’ll see he’s stocked all these beauties together in one area so you can make the right choice at Fresh Choice, Nelson. You’ll find lots of local goodies… from within the 200 km radius. We know you want to save on your food miles, so we launched our 200km radius initiative in 2006, and since then we have been buying the majority of our produce locally. 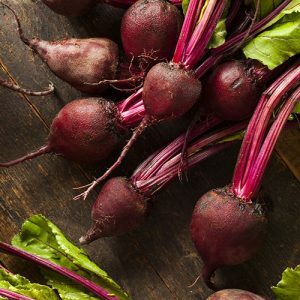 But, we’ve also selected the best of other organic vegetables from our growers around the country in Hawkes Bay, Northland and Canterbury. Our current organic veggies selection includes pumpkin, brassicas, those elusive avocados, citrus fruit, pears, walnuts, parsnips, potatoes, lettuce, spinach, fennel, parsley, mesclun mix, mandarins, radish, beetroot, daikon radish, kale and apples, to name just a few. Here are 4 reasons why you should be checking out with organic vegetables at Fresh Choice, Nelson. 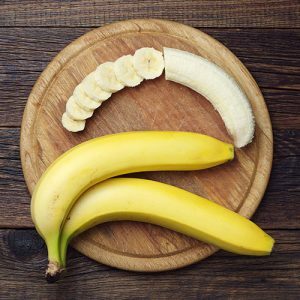 You’ll be taking in more of the good stuff – Many studies show that organic food is often higher in nutrients than traditional foods. We’re talking more vitamin C, more minerals (calcium, iron, chromium, and magnesium) and more antioxidants. You’ll be doing your bit – Organic farming has been around for thousands of years, and it’s protecting your future. Some modern agricultural practices are environmentally destructive through widespread use of herbicides, pesticides, fungicides, and fertilisers, often resulting in drastic environmental damage. Wildlife is also being harmed by exposure to pesticides. They taste great! – Pure and simple…. Most organic vegetables simply taste better than their pesticide-grown counterparts, because well balanced soil produces healthy, strong plants. 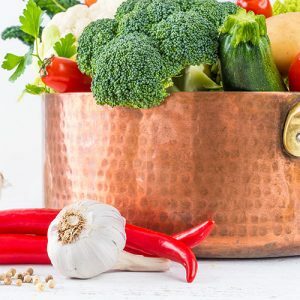 They last longer – Organic vegetables can have a lower level of nitrates present, and some studies have reported that this gives them a longer shelf life than conventional produce. Here’s one man in Nelson that knows his beers, it’s Dynamite Denis Cooper with this week’s blog article! IPAs are the beers that instigated the worldwide craft beer craze. The IPA style has more hops than a Brodie Retallick goos-step. Although the line between IPA and a pale ale can be as blurry as the eyesight of a semi-final referee, IPA should be all about the hops. Not only do hops give beer bitterness, they also impart aromas and flavours – similar to walking through the Fresh Choice fruit department! It’s all these flavours that are the game changers. At the pinnacle of IPA brewing is a group of San Diegoans who call themselves Ballast Point. They brew the hugely successful Sculpin IPA, which has become a cult craft beer. It’s the one which all other brewers try to emulate. A Sculpin is a fish with poisonous spikes on its fins that can give a strong sting. The beer is similar, full of melonicious apricots and peaches; culminating into a long, lingering bitterness. Riding their wave of success, Ballast Point now brews a school of Sculpins. 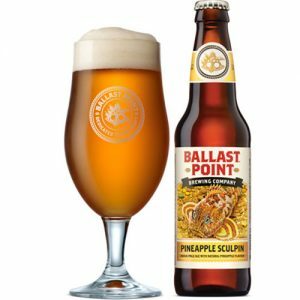 Pineapple Sculpin: Though the label says pineapple, it’s pineapple and more. A well-balanced IPA with all the Sculpin qualities, plus piney hops and a wisp of pineapple coming through at the bitter end. Grapefruit Sculpin: Rated 100 out of 100 for style on Ratebeer, this one is a no-brainer. It’s the easiest drinking 7% fizzy pink grapefruit juice you’ll ever have. Say no more. Habanero Sculpin: A love or hate beer. It has the Sculpin aroma and front of mouth hoppiness, then whammo – hotter than Pokemon Go – incinerates you for hours. The heat is accentuated by the coolness of the liquid, then lingers making you thirsty as hell. If you do manage the heat, the signature Sculpin flavours can be found lurking quietly beneath. Every Friday evening at Fresh Choice in Nelson, when we’re tasting craft beers, someone will say ‘Is that beer? I never knew a beer could taste like that!’… And chances are they’ll be sampling an IPA. So for all you Corona cupcakes and Heineken hoons… Want some flavour? Try gulpin’ a Sculpin!